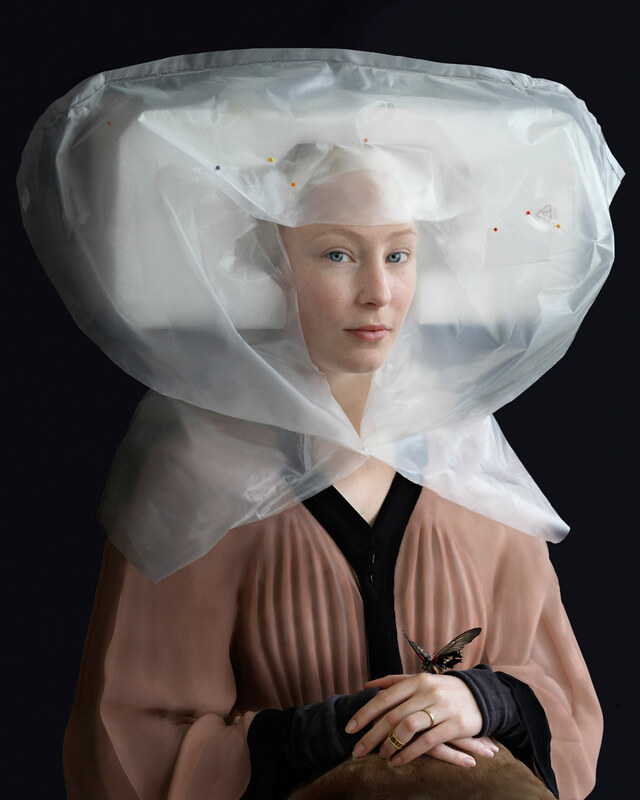 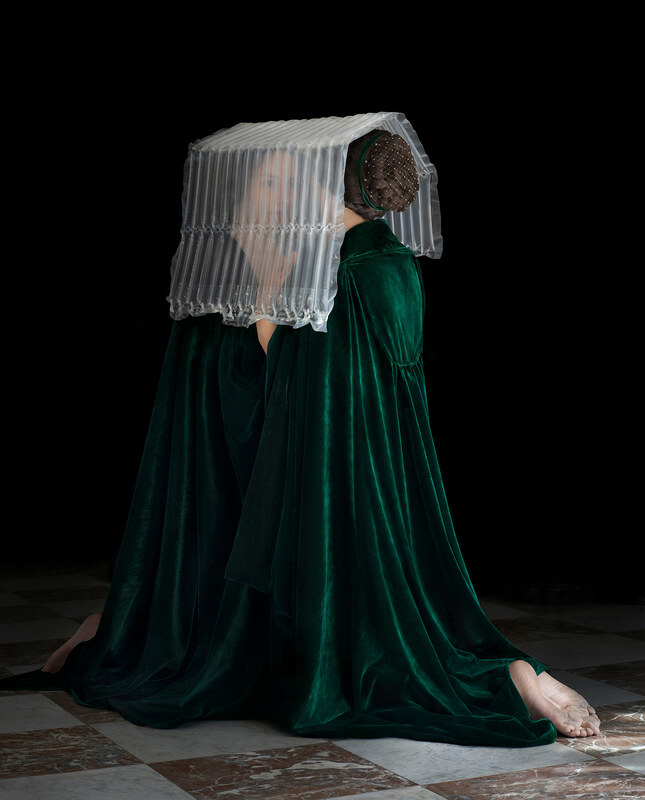 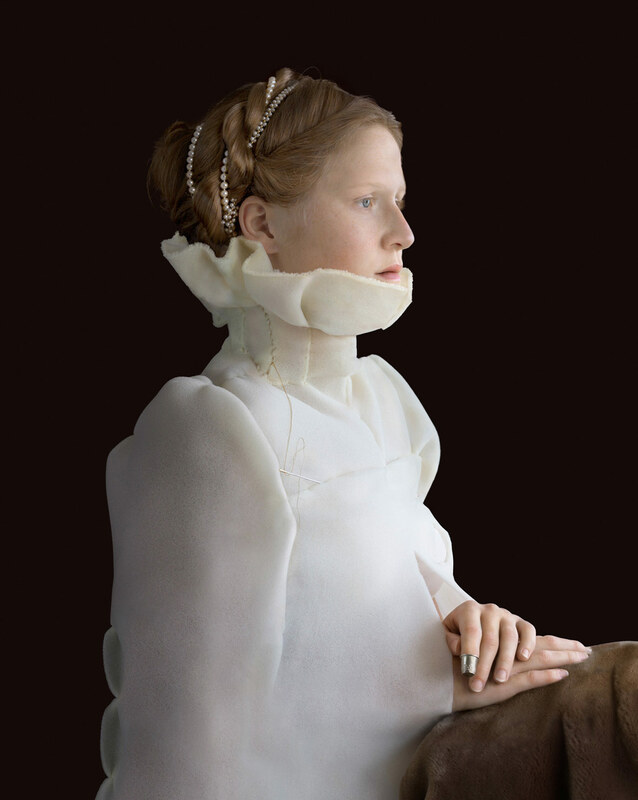 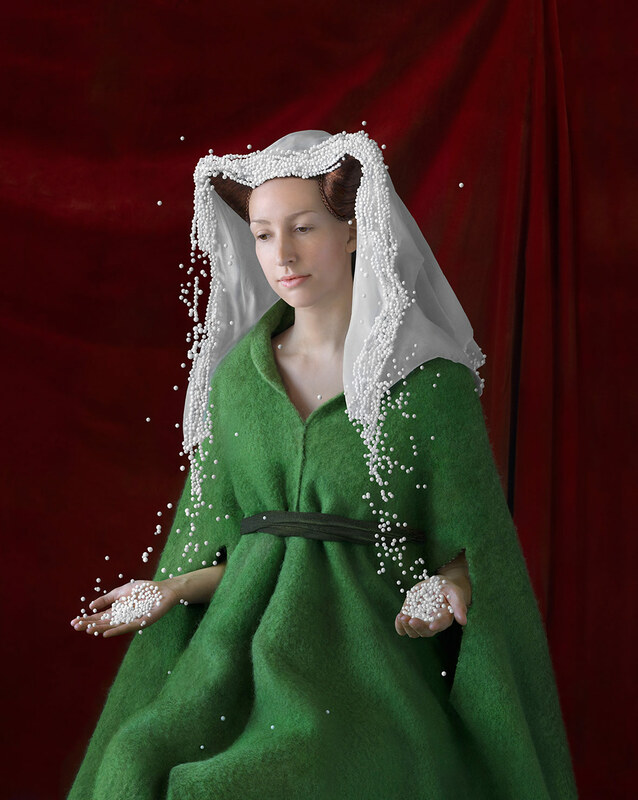 The artist Suzanne Jongmans, both a sculptor and a costume designer, designed this series of portraits imitating a Renaissance style, including the aesthetics of Flemish masters such as Rogier Van der Weyden, Rembrandt and Hans Holbein. 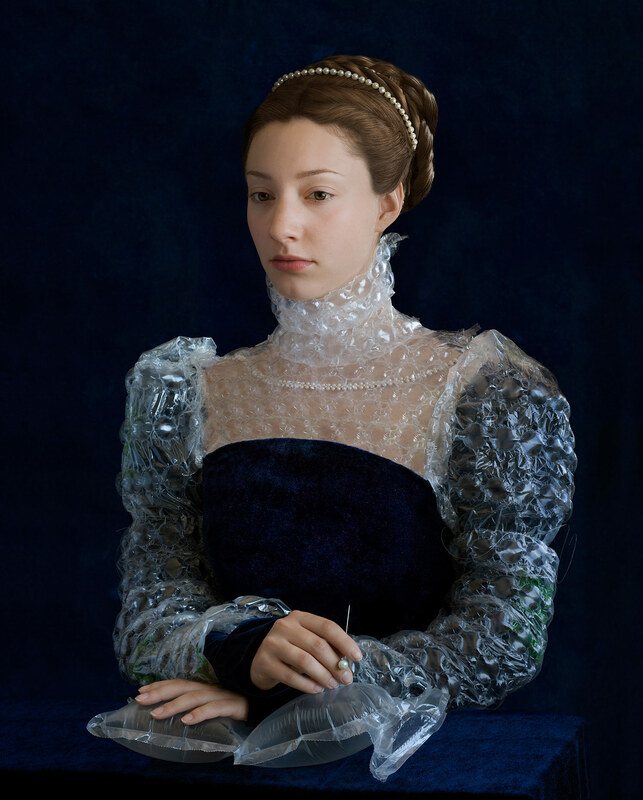 It is a question of recovering non-recyclable materials that are widely used by industries, such as polystyrene or bubble wrap, and making them top-of-the-range and anachronistic styling pieces. 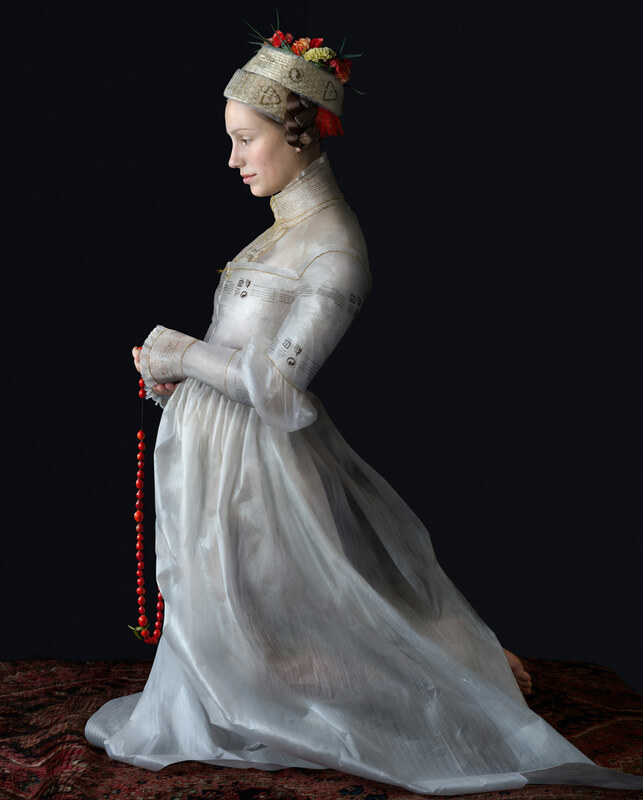 Her model poses in the image of these figures, which abound in 16th century Flemish painting, in an almost ghostly light, making the illusion of the painting particularly realistic.